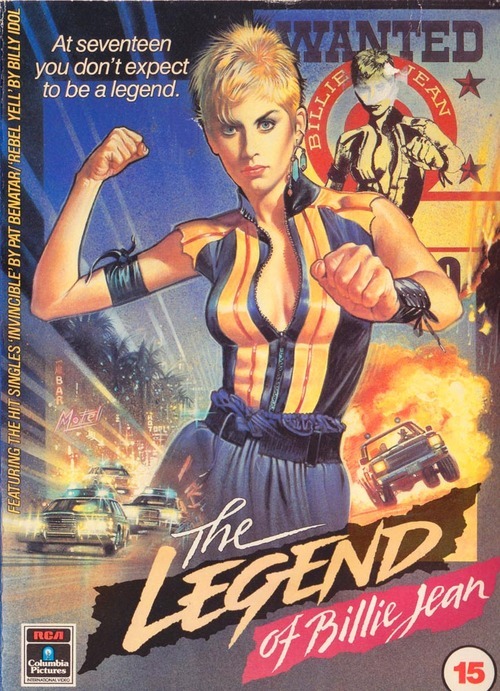 The Legend of Billie Jean was a teenage rebel movie that was smack dab in the 80s. It was released in 1985 and takes place (and was filmed in) in the Corpus Christi/Padre Island area. Helen Slater stars as a well meaning teen who (after an unfortunate chain of events) has taken just about as much crap as she's gonna take and goes on the run from the law with her friends and kid brother. 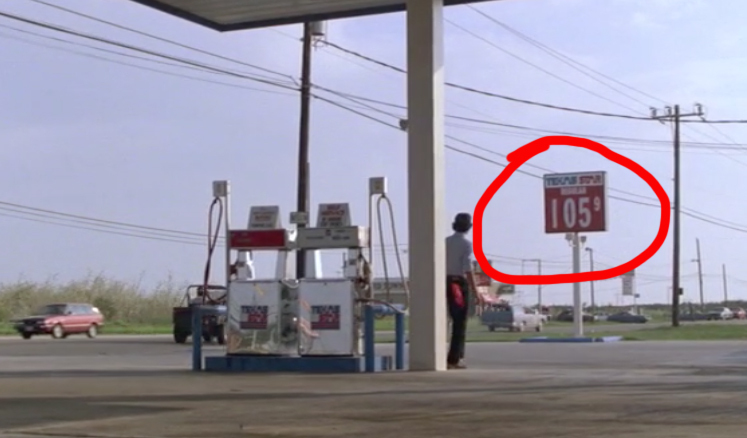 According to IMDb, the entire film was shot on existing practical locations so you get a good look at that area of Texas in the 80s. And since the kids always need provisions, you also get a good look at some of the old products that were on the shelves at the time. 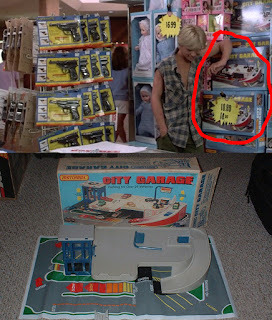 So instead of the usual gift shop browsing I thought I'd take a look at what I thought were the Top Five Things For Sale in the movie...or rather the Top 5 Things For Sale Corpus Christi in the 80s. Any rebellious road trip requires frequent fuel stops. Movies like these can be snapshots into the culture of the time and one of the things I always keep an eye out for is gas prices. In the movie gas clocks in at $1.05 per gallon, which seems a little high for '85 but South Padre is a tourist spot so things can get a little pricey. 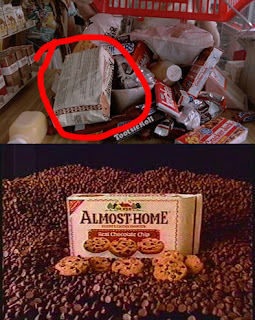 Like a lot of discontinued food items, Almost Home Cookies have a bit of an online following. 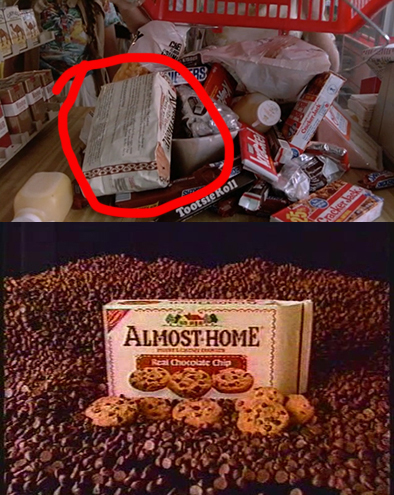 They were billed as a "homemade" style cookies and were one of the first "soft baked" cookies on the market. A lot of people forget about the stranglehold that crispy cookies used to have on the market and these were meant to push back against that crunchy agenda. This must have been product placement because these babies get a nice close up. 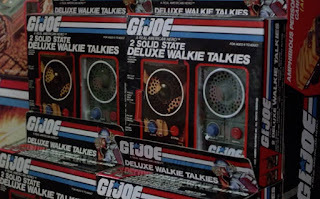 The gang needed to communicate with each other and in 1985 you needed a wheelbarrow to carry around what passed for a cell phone so walkies were the next best thing. Like most kids of that era, they came in handy when outwitting authority figures. Another great character touch in the film is the I.O.Us the gang left behind when they needed to "acquire" supplies...so, ya know...they mean well. The Lasers Disc format came and went in what seemed like a hurry. People will swear that they were only around for a year or two but they actually hung on for several years and made an appearance in the movie. Billie Jean and friends essentially invent social media by recording messages on a "Betamovie" camera and sending them to the media, thereby gaining "followers" of their exploits. 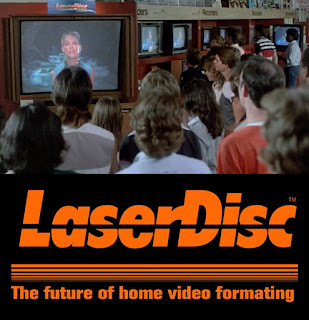 So maybe Laser Discs and Beta tapes weren't particularly prophetic but people's reactions and the cultural influence of self-created media definitely was. I guess Matchbox didn't have deep pockets like Hasbro because these things were stuck in the background. For a young boy in the mid 80s there was nothing better than rolling your toy cars around a beauty like this. Hot Wheels had a similar model but the City Garage has a little more charm if you ask me. These things caught my eye and while they're not technically for sale (the wigs are though) I thought I'd give them a participation trophy. 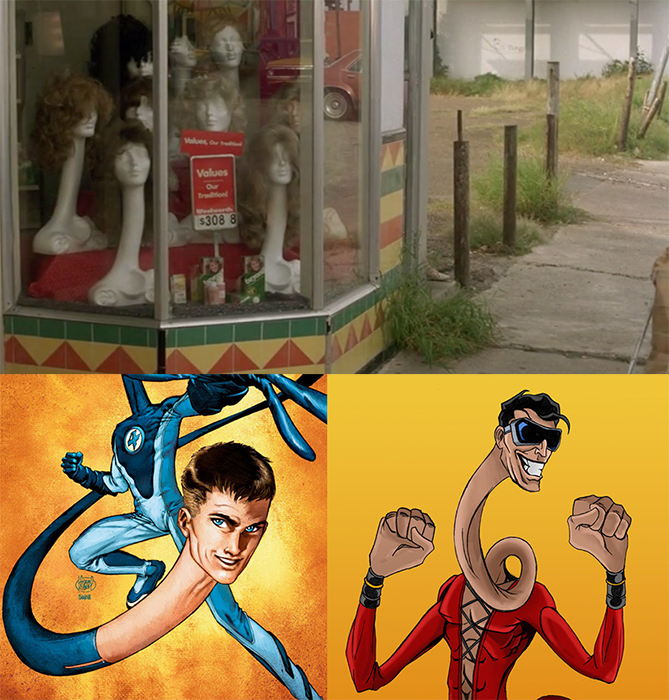 Mainly because they reminded my of the neck work done by stretchy superheroes like Plastic Man and Mr. Fantastic from the Fantastic Four. I've seen plastic heads that hold wigs before but never the stretchy neck variety. And now you've seen them too. So that's a lot of nice finds for a movie I had never heard of until a few months ago. 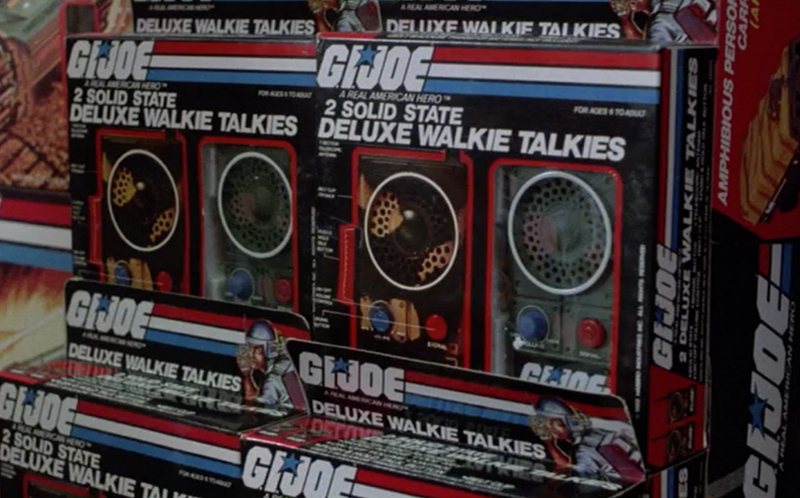 Surprises are nice but surprises involving laser discs, G.I. Joe and cheap gas are the best. 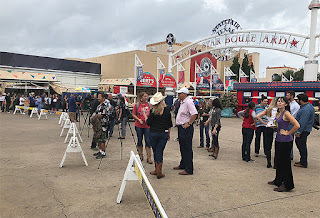 For as long as I can remember, every year at the State Fair, Big Tex as been front and center in his usual spot. 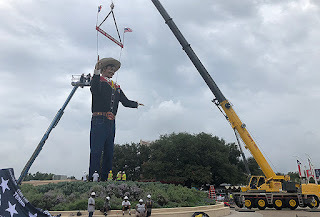 Even after the fire a few years ago most people just take it for granted that he'll be right where he always is and people have no qualms saying "Meet me at Big Tex." 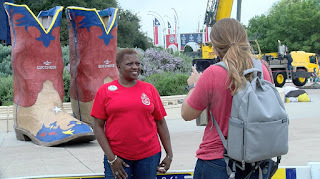 All of the local news channels want to start their evening broadcasts with a shot of Big Tex going up on that day. There can also be some stations outside of the DFW area that show up: Tyler/Longview, Sherman/Denison, etc. 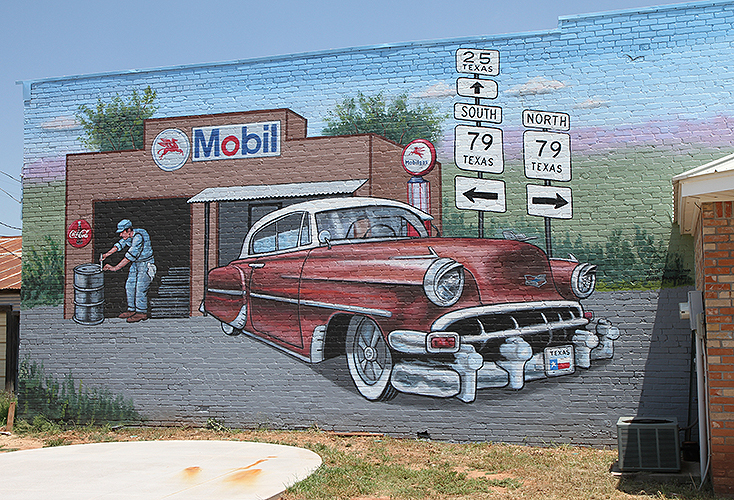 You never know who wants to make the drive out to see the iconic moment. 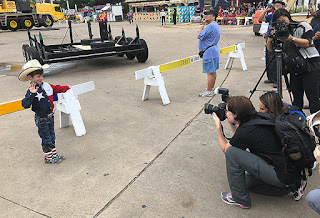 There's also tons of stringers, freelancers, photographers, bloggers and anyone else who wants to capture the first moment the big guy makes his yearly appearance. It's not uncommon for the crowd to bring lawn chairs and a picnic basket for the event. 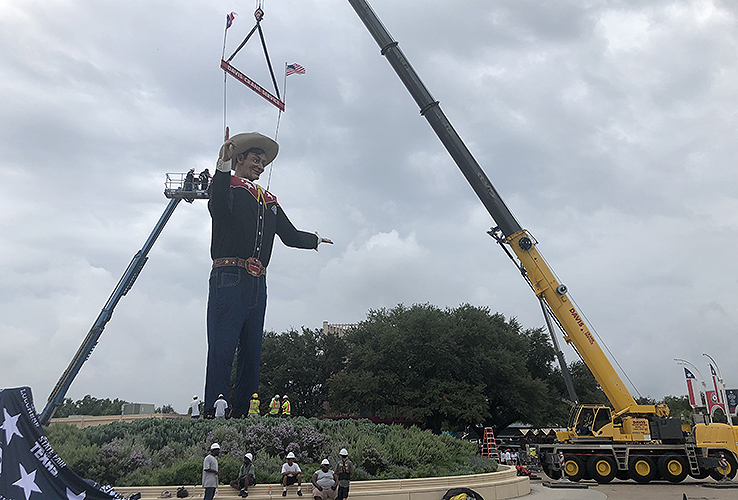 Like I said earlier, it used to take a lot longer but even now it can still take a few hours to get Big Tex fully dressed (boots and all) and ready for the adoring crowds. 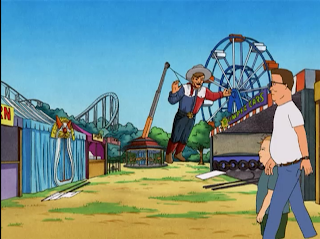 You can see the kid above doing his best Big Tex cosplay and entertaining the crowd. The event can be a nice little diversion from day-to-day stress. 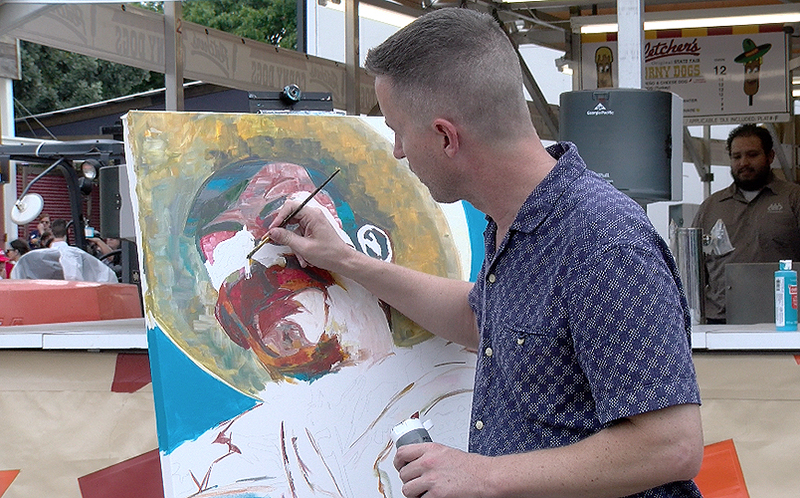 It's not just the Big Tex kid above who gets creative but other local artists as well. This year local painter Eric Hanson was creating a portrait of the man of honor while the instillation was happening. Also tons of professional and amateur photographers get shots that might just be entered into next year's Creative Arts contest. 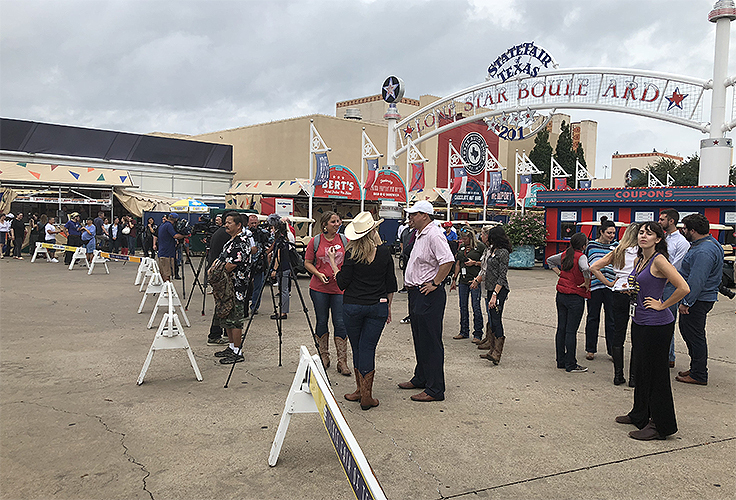 If you've ever visited the State Fair before then there's a good chance you have at least one fun memory about it. If you've been several times then you've probably got several good memories. 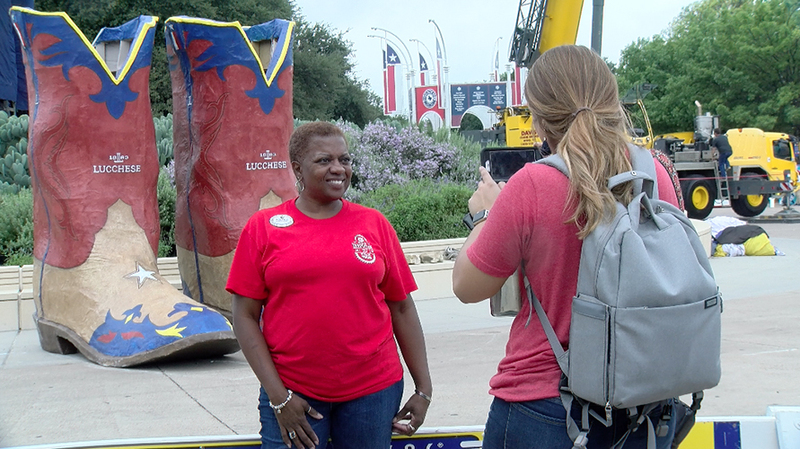 Since Big Tex is the personification of the fair, seeing him again is a great reminder of all the fun and happiness the fair can bring. And that shows in the delight people take in the big guy's return. We live in an overly harsh world so it's always nice when people can come together to ride some rides, eat some food and have a little fun. And with Big Tex's return, those good times are right around the corner. 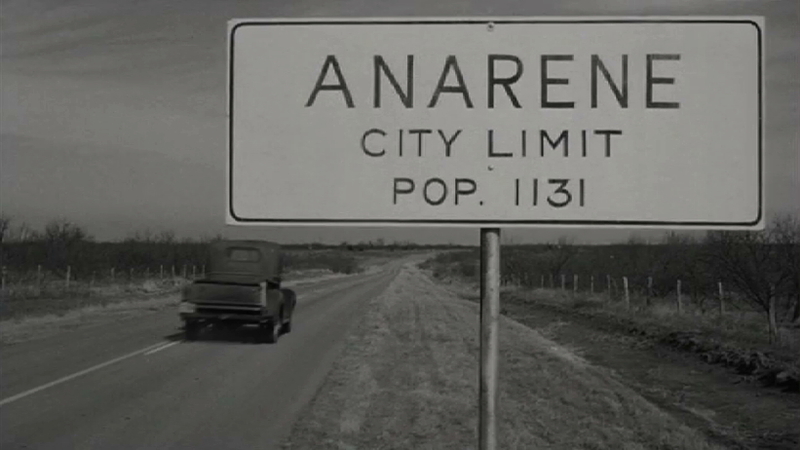 Welcome to Anarene, TX, home of the melancholy and the wistful. It's the setting of the movie "The Last Picture Show," based on the novel by author and Texas literary icon Larry McMurtry. 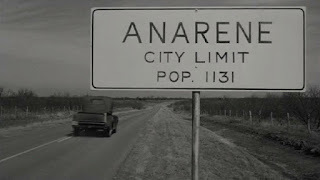 The film's setting is in the town of Anarene, based loosely on McMurtry's own small Texas hometown of Archer City (near Wichita Falls). Archer City has embraced their favorite son and the film that was filmed there so it's still easy to find some of the locations, most notably the downtown movie theater. 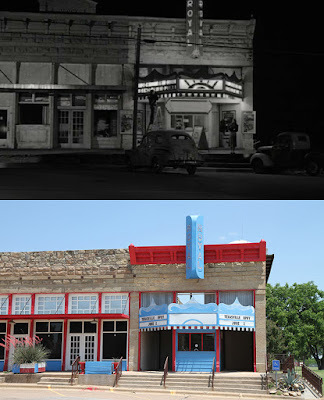 The Royal Theater plays a semi-prominent role in the story and ends up going out of business at the end of the movie. But the real deal is still alive and kicking. 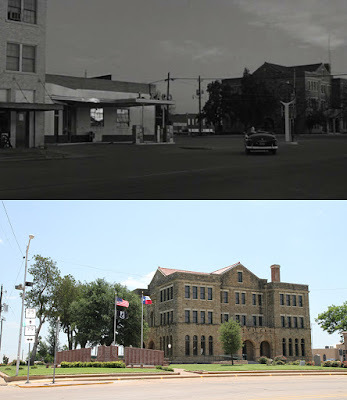 It doesn't show movies anymore but hosts musicians and theater productions instead.